John contacted us with information and a photo of his XB GT hardtop. 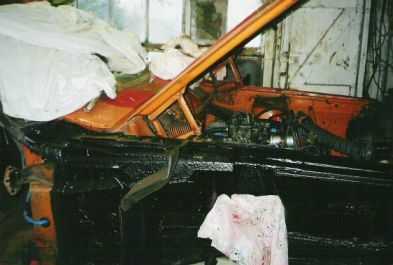 As with most of the old GT’s here in the U.K, it has suffered somewhat at the hands of the elements and the ravages of time, but John has it in pieces and is methodically, as time permits, working his way through the car to get it back on the road. This car is of some personal interest to me as John lives close to me near Glasgow, the car is Glasgow registered, and being a 1974 XB GT hardtop, Burnt Orange in colour with Walnut Glow paintouts, black vinyl roof and brown interior, it is the exact same in every way to the car I owned back in 1982, which came from Glasgow. 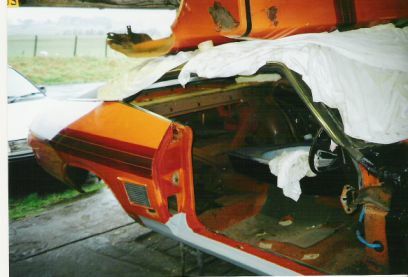 Of even greater significance was the fact that we were convinced that this car, along with Damon’s black XB GT hardtop, were Ford of Australia cars sold brand new here in the U.K. I had been in contact with the gentleman who is the official Ford GT historian in Australia and had promised him a VIN of a car that we thought had come here new. The hope that was by supplying Ford Australia with a VIN, they could maybe tell us where that car went, or help identify any code or nugget of information they held on the car to show it was different from those sold in Australia. Passing the information on to Ford in Australia and their keeper of records, we had success. It seems that John and Damon’s GTs both have the same dealer code on their official paperwork, and that this dealer code is marked - Special Markets, that is, the code for sale overseas. It appears that Ford Australia sold 17 XB GT hardtops with this code in March, 1974, and a further 6 with this code in June, 1974. All the cars were quite heavily optioned - for example all had power steering, and all but one had cloth interiors. There is no actual record - as yet - that all these cars came to the U.K. as Ford Australia was selling quite a few cars to some Asian countries and South Africa at that time, plus, some U.S. embassies in rhd countries ocassionally bought Australian Fords to use, but there is a strong suspicion that a breakdown of the four digit Special Markets code could show that the first digit signifies export, and the other three digits signify the actual country. 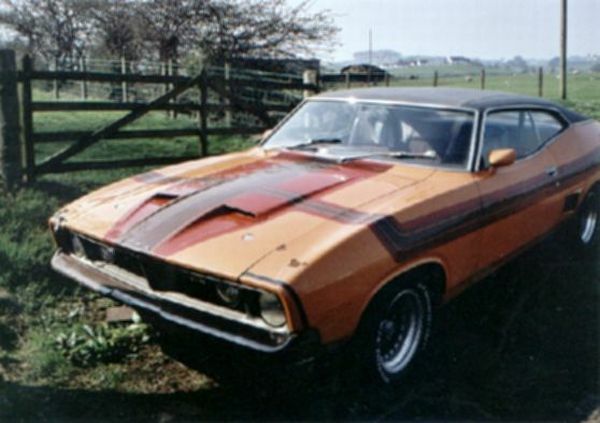 With the similarity of John’s and Damon’s cars codes, we are very hopeful that we can continue working the papertrail backwards and find out the colours of these 23 cars, if there were any four door XB GTs - or even XA GTs - sold here new, and, by extension, get information about all the Ford Australia cars sent here to the U.K. 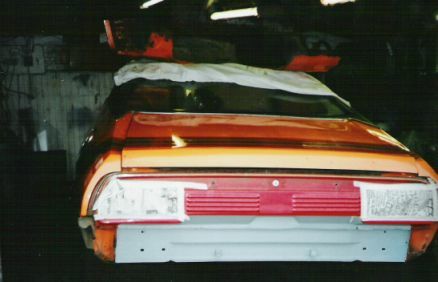 The final fascinating fact is that both John’s and Damon’s cars were built in March, 1974. Some photos of Johns work in progress.